The Pittsburgh Area Theatre Organ Society (PATOS) is dedicated to preserving the glorious heritage of the theatre pipe organ and to presenting this wondrous musical instrument to the general public in concerts and other programs throughout the year. PATOS was started in 1970 by a group of theatre organ enthusiasts with the goal of one day restoring genuine theatre pipe organ music to Pittsburgh. In Pittsburgh as in the rest of the country, theatre organs were once ubiquitous fixtures in “movie palaces.” where they were used to accompany silent films. As silents gave way to “talkies” in the late 1920s, the organs saw less and less use, though some theatres continued to use them to provide pre-show entertainment. The theatres in downtown Pittsburgh lost virtually all of their pipe organs in the great St. Patrick’s Day flood of 1936. 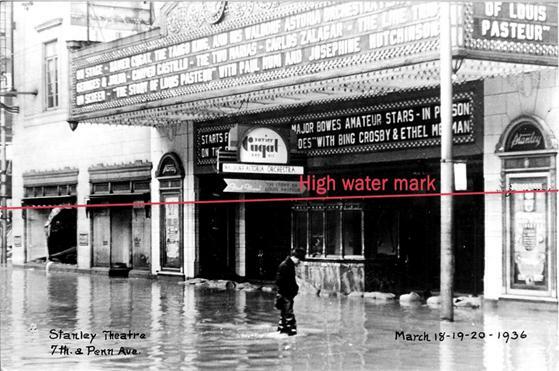 This is an old photo of Pittsburgh’s Stanley Theater (now Benedum Center) taken several days after the worst of the flooding in March 1936. Note the high water mark. The names notable on the marquee are Bing Crosby, Ethel Merman, Major Bowes, and Xavier Cuqat’s Waldorf Astoria Orchestra. What entertainment! Theatre organs in other area theatres that survived the flood fell victim to neglect through the years; many were dismantled and put into storage or sold while others were thrown away outright. 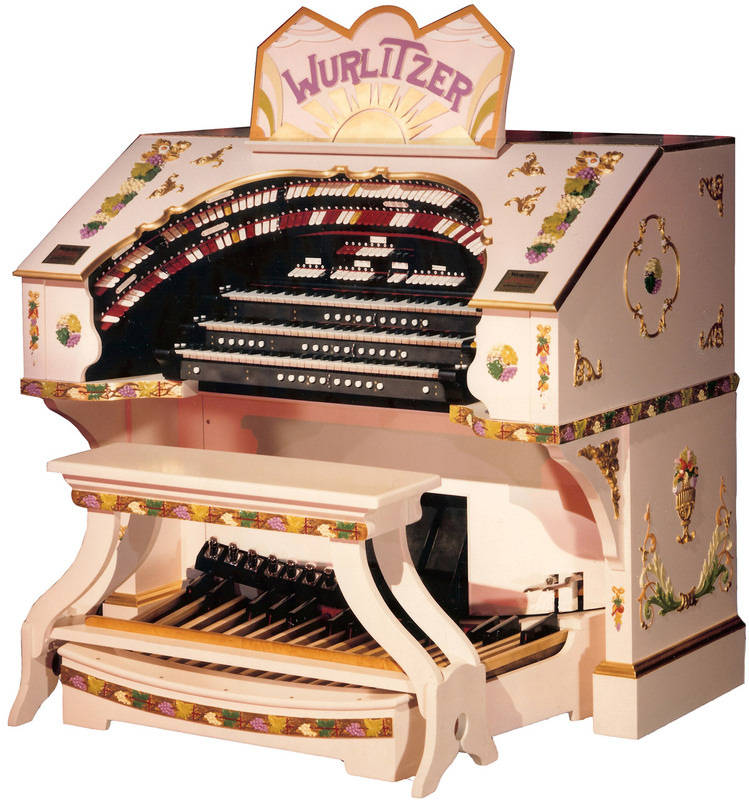 Today, PATOS’s 3-manual 19-rank WurliTzer is the only operational theatre organ in the Pittsburgh area. Originally installed in Brooklyn’s Prospect Theatre, the organ was moved from New York to Pittsburgh in the mid 1970s and installed in the auditorium of Keystone Oaks High School. PATOS has overseen the organ’s complete restoration and expansion through the years. Its present size is, ironically, about the same as the organ that was in the Stanley Theater when the above picture was taken. PATOS uses this instrument for three to five public concerts and programs per year at Keystone Oaks High School.